Our research is focused on the influence of natural resource management and climate change on the hydrology of watersheds. 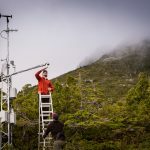 In particular we strive to develop novel methods to better describe the variation in hydrological processes in watersheds influenced by rain, snow and ice. 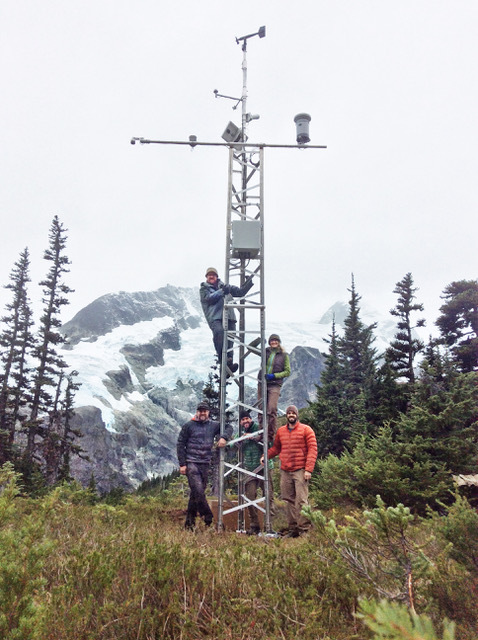 A key focus of our research is to expand weather and water observation networks in remote areas of British Columbia. We work across the Pacific Coast of British Columbia, and are based out of Vancouver Island University (VIU) in beautiful Nanaimo, BC. 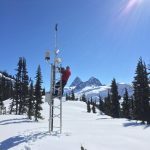 Bill is a Research Hydrologist with the BC Ministry of Forests, Lands and Natural Resource Operations, he is the Leader of the Coastal Hydrology & Climate Change Research Lab, and an adjunct professor in Geography at Vancouver Island University. He is an innovator with a vision for long-term bio-physical research. Bill loves the snow and is an avid skier. Stew is passionate about the environment, science and understanding the natural world. He has a BSc in Earth Science and Chemistry, and spends most of his free time on and around the water. 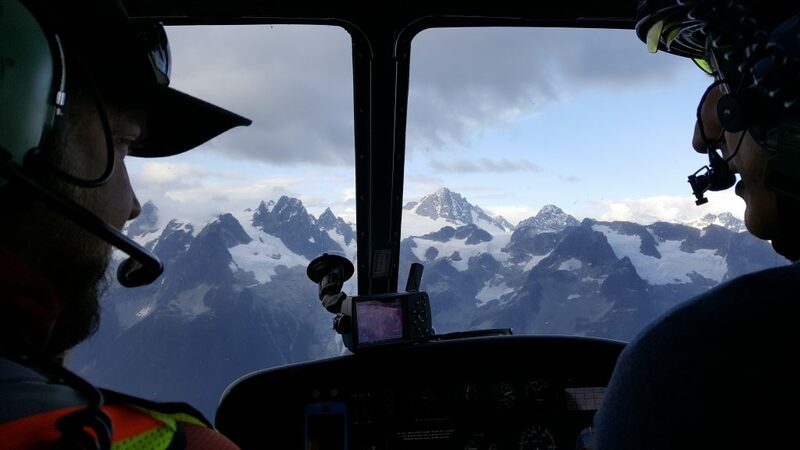 Stew has experience in geophysical mapping, metallurgical chemistry, marine conservation, and has worked as a Search and Rescue crew member for the Canadian Coast Guard, and volunteered with the public education group Awareness of Climate Change through Education and Research (ACER). Trevor has assisted with winter field work at Russell Creek Experimental Watershed for two winters and has expanded his role with us this summer as an NSERC USRA research assistant. He completed a BA at Vancouver Island University with a double major in Geography and First Nations Studies. 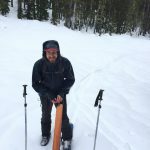 Trevor has extensive mountaineering and backcountry skiing experience which he utilizes in our field work throughout the coastal mountains. 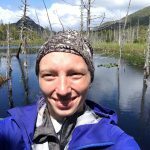 From January 2018 to present, Alex has worked on various projects including managing our real-time weather network database, conducting various geo-spatial analyses, collecting data in the field, and installing and maintaining weather stations. His Master’s research involved collecting sediment cores from the glacier-fed Cariboo Lake, BC which were used as glacier and climate proxies over the past 2000 years. In his spare time he enjoys spending time outdoors rock climbing, sailing, and skiing. 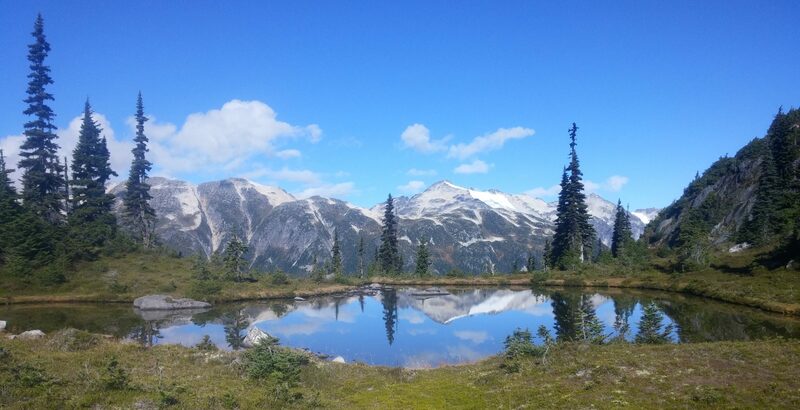 Hannah assisted in the construction of five high-elevation weather stations, led a synoptic river sampling and analysis program, and contributed to maintenance on the Kwakshua watershed program (2016-2018). In 2018, she started her Masters degree at UBC under the co-supervision of Bill Floyd and Mark Johnson (Ecohydrology). She is researching legacy effects of forest management on drinking water quality in regional water supply. She is grateful to call coastal BC home, and is thrilled to be conducting research in the field and the lab. Amrit is currently working on his Master’s in Geographic Information Systems at Vancouver Island University. For the past 8 years, he has been employed as a GIS and Data Analyst at Lorax environmental Services. 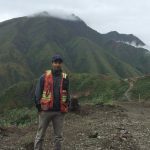 Amrit has experience in geospatial analytics, computer programming, data manipulation, and water quality monitoring. He holds a BA in Geography from VIU and an Advance Diploma in Geographic Information Systems from BCIT. During his down time, he enjoys rock climbing, tending to his garden and spending time with his family. Maartje loves water, either wading through rivers, sailing the ocean, or paddling lakes. 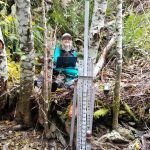 She has a MSc in Hydrology and Water Resources Science, and is a staff researcher and field technician for the Hakai Institute. Her focus is on surface water processes: setting up hydrometric stations, building rating curves and doing catchment response analyses. Eric is a weather station consultant and technician. 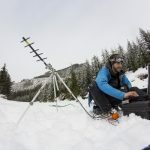 His background includes an M.Sc in climatology with UVIC and field work for the VIU Hydromet lab and the University of Saskatchewan Coldwater Lab in the Canadian Rocky Mountains. He currently works for Campbell Scientific, based on central Vancouver Island. Godson was a Student member of the Advanced Diploma in Geographic Information System Application (ADGISA) Practicum program. He has a BSc in Earth Science and an interest in sustainability of renewable energy, which includes using GIS and Geostatistics in modeling groundwater flow. Godson is now a GIS Technician with the BC Provincial Government.